Deluxe two disc edition. 2017 release. Papa Roach have never taken the easy way out and they aren't going to start now. Over the past two decades the group has established itself as a true trendsetter in heavy music: They've been nominated for two Grammys, toured the globe with everyone from Eminem to Marilyn Manson. However the group's Crooked Teeth sees the band returning to their humble-and hungry-roots. The album was recorded in a cramped West Hollywood studio with up-and-coming producers Nicholas "RAS" Furlong and Colin Brittain, who grew up listening to Papa Roach and inspired them to revisit some of the traits that personally endeared the band to them, most notably frontman Jacoby Shaddix's remarkable rapping technique. 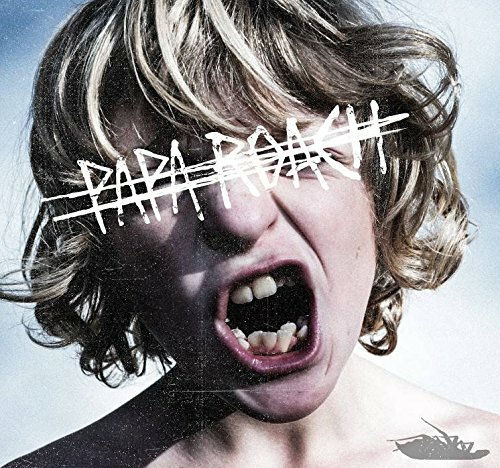 Never one to shy away from difficult topics, Papa Roach dug deep with Crooked Teeth and refused to censor themselves when it came to their opinion of the current political landscape and organized religion. For example, on "None Of The Above," every ounce of musical intensity on the album is mirrored by Shaddix's words whether he's screaming, singing or rhyming. 5 Where Did the Angels Go?